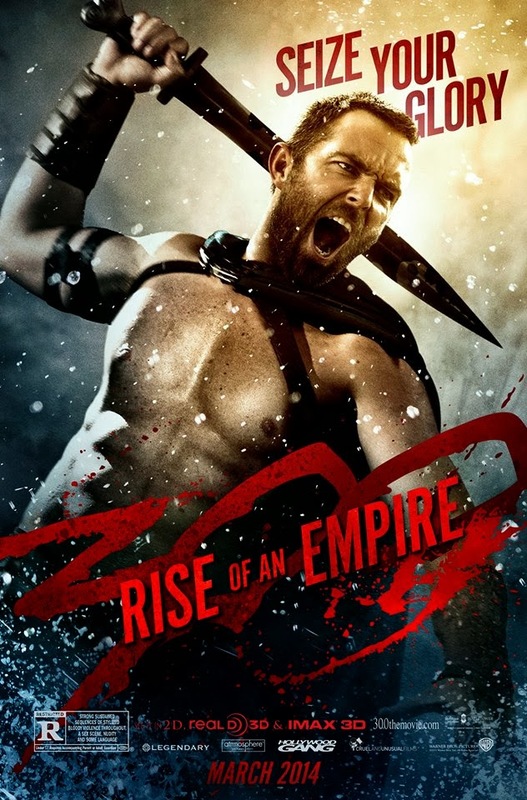 Released in a regular interval, the new character posters of 300: Rise of an Empire just got better and better. Each poster is tag lined with each character's core theme and motivations, giving us a hint of what to expect from them in this much anticipated sequel. Expect another visual feast with this Noam Murro-directed Warner Bros. Pictures and Legendary Pictures feature length presentation. 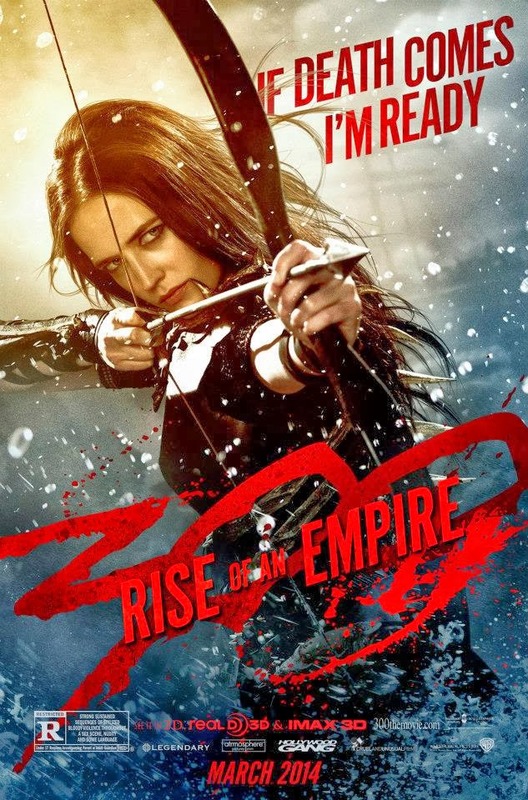 Sullivan Stapleton, Eva Green, Lena Headey, Hans Matheson, David Wenham and Rodrigo Santoro comprises the central characters of this movie. Only 4 characters have been release so we can safely deduce that two more are coming! 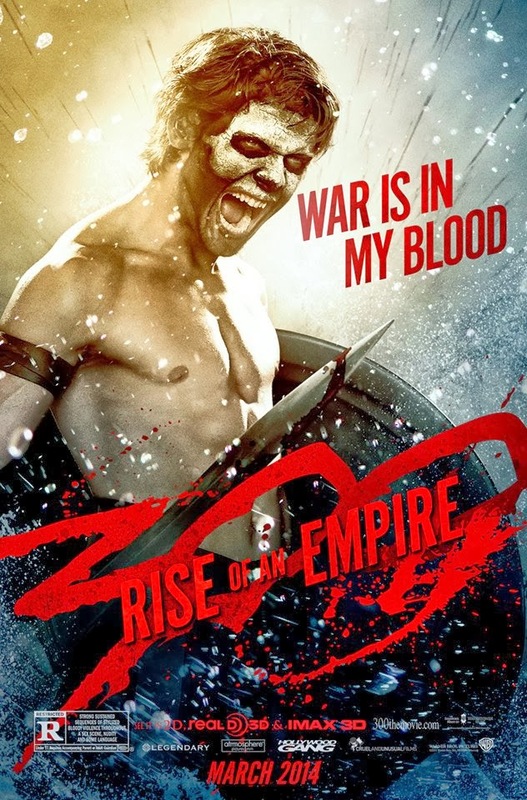 Checkout these new character posters of 300: Rise of an Empire. Expect some more character posters to come! Updated: And here is another poster, this time of King Xerxes. Based on Frank Miller’s latest graphic novel Xerxes, and told in the breathtaking visual style of the blockbuster 300, this new chapter of the epic saga takes the action to a fresh battlefield—on the sea—as Greek general Themistokles attempts to unite all of Greece by leading the charge that will change the course of the war. 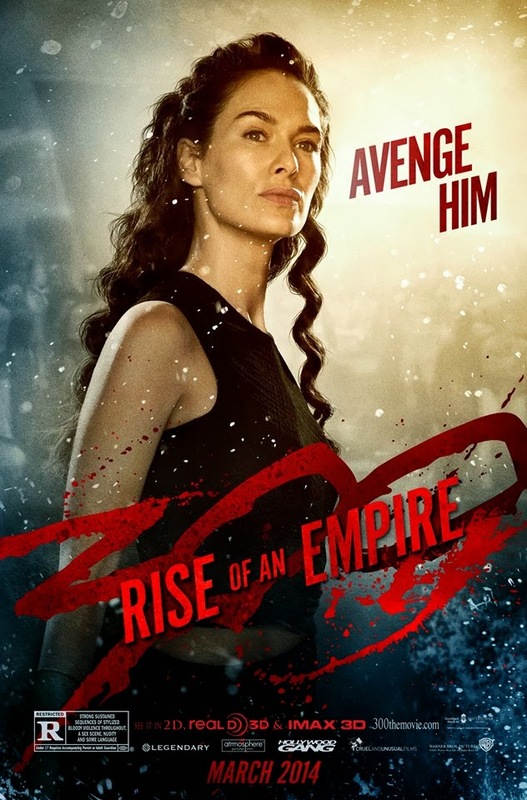 300: Rise of an Empire pits Themistokles against the massive invading Persian forces led by mortal-turned-god Xerxes, and Artemesia, vengeful commander of the Persian navy. 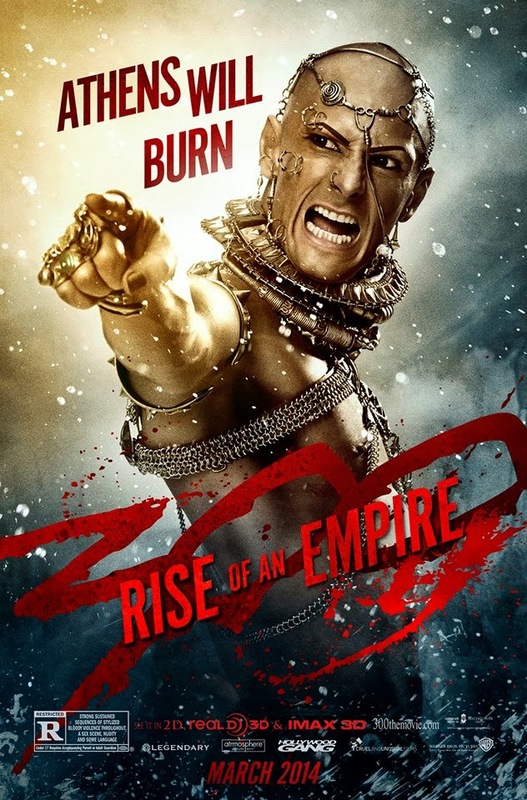 Debts will be payed, blood will be spilt, and revenge will be committed during the release of 300: Rise of an Empire in theaters on March 7, 2014.